With a few brief and notable exceptions, his predecessors were either pedestrian or downright obstructive in delivering an overall life-saving, disease-preventing service to the nation - delighting those who spun millions in the vacuum of ineptitude. Today the comfort zones of a broad range of producers, service providers and retailers are shrinking fast as they scramble to draw up contingency plans to protect their robust bottom lines - all of which threaten the average South African's health. Health Minister, Dr Aaron Motsoaledi, struck a gladiatorial profile in his annual budget speech this year, declaring war on the tobacco, alcohol and fast-food industries and defining the existing health care system as lopsidedly curative, hospi-centric, destructively costly and unsustainable. He said 'complete re-engineering' was needed towards a pragmatic, pro-active preventive and primary health care care approach. 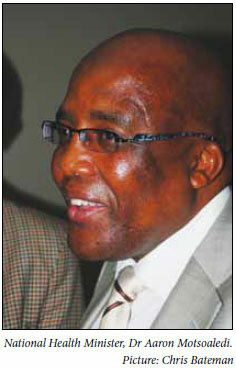 Emphasising the active cross-ministry, national, provincial and district collaboration needed for effective control and prevention of non-communicable diseases (NCDs), one of the 'big four' disease burdens, Motsoaledi singled out institutions that actively colluded in and profited by pushing up the collective blood pressure of the nation. He said they did this by selling products promoting unhealthy, sedentary lifestyles and bad diets. Defining the recent controversy over the lack of dialysis machines in public hospitals as a 'wrong-minded' debate that created hugely expensive objectives, he cited the recent scandal in Durban where the high demand for new kidneys led to 'the rich trying to concoct schemes to steal kidneys from the poor. We know that 40 - 60% of cases of end-stage renal failure are due to high blood pressure at an average patient age of 39 years. So what are the main risk factors for high blood pressure?' he asked. Reducing the prevalence of hypertension by eliminating primary risk factors was fundamental. Several producers and marketers contributed hugely to risk. Motsoaledi promised to fight for the health rights of South Africans 'with my bare knuckles', adding that he would stake his life on 'achieving a ban on the advertising of tobacco and alcohol'. He warned that 'the sooner the industry understands this, the better'. Included in his legislative sights is the food industry via maximum salt content laws, but regulating the advertising of junk food during peak child TV viewing times is an equal priority. The need for laws to stem the profligate marketing and production of damaging foods was a given, 'no matter how many financially powerful people and institutions make a noise about it,' Motsoaledi added. Research showed that South Africans' daily salt intake was 9.8 g, more than twice that which is physiologically needed. 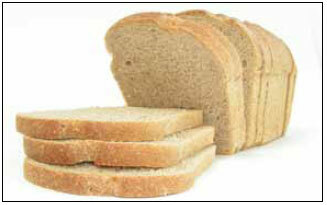 Reducing salt in bread alone would save an estimated 6 500 lives annually. Unhealthy eating meant that 23% of school children were now classified as either obese or overweight, rising to 70% among women over 37. In the wider population 60% of women and 31% of men were either obese or overweight, according to the same national income dynamics study. The consequences to both individual and society were devastating and a ban on misleading adverts on unhealthy dietary products was also 'on the cards' regardless of 'so-called freedom of expression', he added. Describing NCDs as 'largely diseases of lifestyle', he included diseases of the heart and blood vessels, singling out diabetes mellitus and some other metabolic disorders, chronic respiratory diseases and asthma, the cancers and mental ill health as among the outcomes. The Moscow Declaration (by the world's health ministers who met there to discuss NCDs this April) included a plea to develop and rapidly implement policies addressing behavioural, social, economic and environmental factors. Basie van Dyk, Chief Operating Officer of local food giant, Premier Foods, said his company would be investing 'substantially' in researching alternative ingredients to salt and 'amending recipes appropriately'. Salt however played a 'critical role' in much food production, including bread which benefitted in terms of flavour, fermentation, control, colour, water absorption, volume and softness. Reducing salt without a viable (presumably healthier) alternative would inevitably affect softness, taste and 'mouth-feel' - impacting on consumer preference. Admitting there were no guidelines on salt levels in South Africa, Van Dyk said the sodium level in their breads stood at about 560 mg per 100 g, which translated to some 200 mg of salt per slice (about 20 slices per 700 g loaf). Most international nutrition organisations recommended no more than 3 g of salt consumption per day. To reach this level would mean consuming 15 slices of bread. 'Salt in bread can be a low contributor - it all depends on an individual's eating habits.' He said that globally, government efforts to reduce salt consumption levels via consumer education, labelling and engagement with the food industry had yielded positive results. The local market was 'vastly different' to that of developed nations, but similar achievements were possible via a 'holistic approach to nutrition and health. 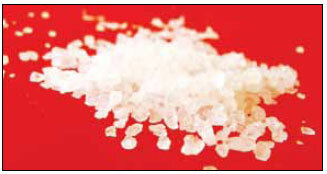 No single product in a diet can achieve the desired reduction in salt intake,' Van Dyk emphasised. Robyn Chalmers, a spokesperson for South African Breweries (SAB), said her company was aware of the minister's legislative intentions and fully backed the Alcohol Retailers Association (ARA) new pilot Responsible Trader Programme, facilitating self-regulation. SAB believed that rather than imposing restrictions on licensing and advertising, increasing consumption age limits and raising taxes on alcohol, 'targeted interventions' should focus on drinking patterns associated with harm. Proven approaches included better education, good enforcement and strong self-regulation. Internationally, restrictions had largely 'failed to have the desired results', she argued. SAB's advertising was aimed at 'adults who have already decided to drink alcohol and does not encourage those who do not drink to do so'. 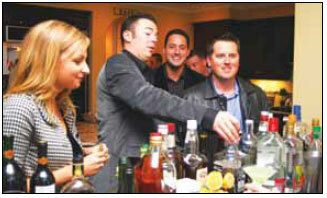 The company aimed to provide consumers with the 'right information with which to make their brand choices'. SAB maintained strict compliance with alcohol advertising regulations and maintained its own stringent internal codes of compliance on advertising based on an industry-agreed code of commercial communication. Such self-regulation was not intended to replace statutory laws and regulations but to complement existing legal frameworks to 'provide robust and proportionate consumer protection'. There was no question that alcohol abuse was a major societal problem but SAB differed on the way in which the issue should be tackled. The British American Tobacco Association of South Africa (BATSA) said it supported 'balanced and enforceable regulations', and was working with government to achieve this. The association was however concerned that 'draconian' tobacco control measures could 'further contribute' to the high illicit trade rate of more than 20% in South Africa which led to government losing over R3.4 billion per annum based on the current excise rate. BATSA believes harm reduction can be achieved through new products such as the Swedish smokeless snus, a finely ground moist tobacco that comes either loose or in tiny sachets - a bit like tiny tea-bags - placed under the upper lip and typically held in the mouth for about 30 minutes before being discarded. More than 25% of men in Sweden use snus regularly, while fewer than 15% now smoke. Long-term studies have shown that Swedish men have among the lowest lung cancer rates in the world and Sweden's mouth cancer rate is among the lowest in Europe. South Africa has some of the most progressive anti-tobacco legislation in the developing world, dating back to 1993 (health warnings on adverts and packaging), including a ban on indoor smoking, advertising, promotion and sponsorship (excluding availability and price at point of sale), plus maximum tar and nicotine emissions. Final regulations on reduced ignition propensity for cigarettes have just been published and the most recent amendments include raising the age limit for buying cigarettes from 16 to 18, banning smoking in a car in which a child is a passenger and in childcare and school environments. Flavoured cigarettes are banned, as are the terms 'low tar', 'light' and 'mild'. Penalties for any establishment that allows patrons to smoke outside designated smoking areas have been stiffened. Much of the initial impetus for existing anti-tobacco legislation came for the controversial AIDS denialist and former health minister, Dr Manto Tshabalala-Msimang. Among the most recently accelerated achievements in South African public health care, a few initiated during the brief tenures of Motsoaledi's predecessors, Barbara Hogan and Nozizwe Madlala-Routledge, is the growth of ART service points from 490 to 2 205 health centres, an increase from 250 ART-certified nurses to 2 000 and the acceleration of HIV testing from 2 million to 12 million South Africans over the last 12 - 14 months. Before the unrivalled drive for health counselling and testing began in February last year there were 923 000 people on ARV treatment. By June this year this stood at 1.4 million people, while the price of ARVs had been slashed by 53%. Motsoaledi expressed delight at the new three-pronged strategy to deal with TB following the acquisition of new GeneXpert technology which breaks the time-consuming reliance on microscopy and culture and increases diagnostic accuracy by 26% (to 98%). Diagnosing multidrug-resistant TB is now possible in 2 hours versus 3 months previously, with huge implications for curbing the spread and effective treatment of MDR/XDR TB. On the critical human resources front he said that in addition to the now definite establishment of a ninth medical school in Limpopo, the deans of all medical schools were probing innovative ways to increase their intakes. The University of the Witwatersrand had so far accepted 40 more students for first-year training, which his department had 'happily' funded. New infrastructure was due at four tertiary hospitals and their medical schools (George Mukhari, Chris Hani Baragwanath, King Edward VIII and Nelson Mandela Academic Hospital), while the rebuilding and expansion of Medunsa as a stand-alone institution was part of an agenda to triple the number of medical students. R16.1 billion had been set aside for the next 3 years at provincial level, mainly for registrar posts, specialist posts at district level and for family health teams helping hospitals comply with norms and standards - all in advance of the NHI.